ActivePresenter Professional Edition is the most valuable version of Atomi’s flagship product. It comes in at $399 per license for life time. The price seems to be expensive for personal uses. However, there are the cases you may want to purchase it. That’s what we’ll cover in this article. ActivePresenter Professional Edition lifetime license is $399. It’s worth to buy if you are e-learning professionals. For those of you who don’t know much about ActivePresenter, give me some seconds to share with you what I know about this software. First thing first, ActivePresenter is a rapid elearning authoring tool, developed by Atomi System INC since 2008. Atomi is a Vietnamese base company. There are three different editions of ActivePresenter in one download package i.e Free, Standard and Professional edition. The features in these editions are exactly the same. This means that whether you are using free or paid version, all features are still there. I will talk about the differences in the next part. Keep on reading. Secondly, as an elearning authoring tool, ActivePresenter can be used in various fields of eLearning such as creating screencast videos, how-to tutorials, instructional videos, product demonstrations, software simulations, employee training courses, and so on. There are many educational aspects it can be applied. It depends on you to decide how to use it. Finally, about its features, ActivePresenter has three main parts i.e screencasting tools – video editing tools – and elearning related tools. It’s a common structure of modern rapid elearning authoring tool at the current time. Okay! That’s enough for the basic knowledge about this software, right! Here are the cases you may want to buy ActivePresenter Professional Edition from my personal perspective. Whether you are an individual, a team, a startup, a SMEs or a large multinational corporation which is doing business as a professional online course provider, you may consider to buy ActivePresenter Professional Edition. 1. You are an individual course provider. Buying ActivePresenter at $399 per license seems to be a big investment, especially when you don’t know much about this software and you are just about to start your online training career. That’s not to mentioned, you are not 100% sure about the ROI. Painful but realistic, if you take the risk, you’ll have 50% winning chance. If you do not take risks then 100% you will not find any coins in the pocket. Success only comes when you accept risk only. Buying or not buying is up to you. But there is a solution to solve this problem. You can start creating your first online course with ActivePresenter Free Edition. It’s everything you need to create a course from A to Z. Why not try? Once you are familiar with the tool and know exactly what it can bring to you, that’s when you think of purchasing its Professional Edition. As a professional course provider, I guess you already give a try to the most popular elearning authoring tools in the world to evaluate detail features, purchasing plan and technical support from them. Did you realize the fact that the lowest price for an elearning authoring tool comes in around $740 and there are some other subscription plans that cost $1099 or even $2500 per year. Okey, admitted that some of these authoring tools provide a Character Library which ActivePresenter doesn’t have. But, does the Character Library cost that much? Find it yourself! As far as I know, this Character Library (or some times Content Library) often comes from 3rd party providers. You can also buy the Library separately at cheaper price. Why not? Creating your own, unique library is also an option. There is no reason to purchase a software with the same features at double price, right? Or are you going to purchase it because of their names? Avoid that kind of actions, please! Even the most famous name in this industry, Articulate, got thousands of claims across the community and eLearning forums. 3. You are a Large Scale Enterprises (it’s true for a Multinational Corporation too). Each large scale enterprise often has their own training department. This department usually has more than 10 people, or 20 or even more, depending on how large it is. Typically, they has their own LMS (learning management system) too. In this scenarios, a stand-alone elearning authoring tool like ActivePresenter (not accompanied with an LMS service) is all they need. The courses can be produced by ActivePresenter and upload to their learning platform easily. Added to that, large scale enterprise sometimes normally has hundreds thousands of employees across the Globe which means training demands happen for years. It’s not a 1-year story for sure. Purchasing ActivePresenter Professional Edition, you’ll only have to pay 1 time and use lifetime. That’s a huge different with 1 year subscription plan like others tools is offering. The more license you purchase, the more discount you’ll get (according to Atomi’s volume discount terms and conditions). Some of the biggest customers of ActivePresenter. That’s one some main reasons to purchase ActivePresenter I can imagine. Maybe your case is not exactly the same. So, what are the cases when you don’t have to buy ActivePresenter Professional Edition? 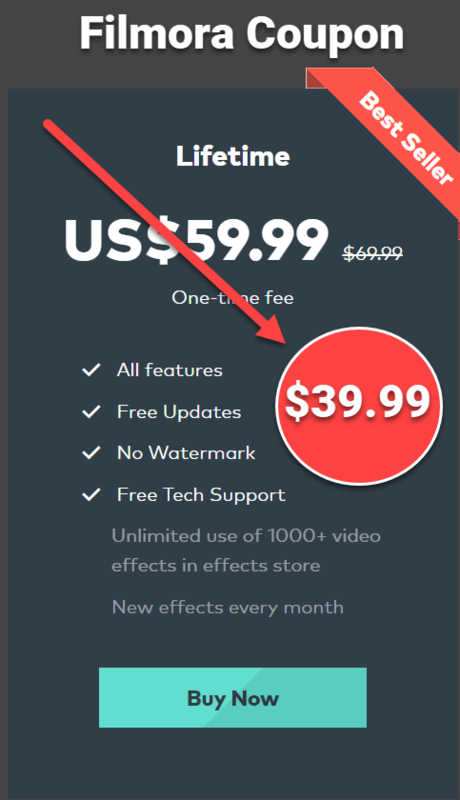 ActivePresenter pricing plan: Save your money with Standard or Free Edition! With ActivePresenter screen recorder, you are able to produce great instructional screencast videos. This screen recording tool is available in ActivePresenter Free Edition (for personal use only). If you are not going to use your video form commercial use, then you can make use of this edition without the need to purchase Pro edition. However, remember to read carefully Atomi’s license terms. Well, that’s some of my thoughts about ActivePresenter Professional Edition and why you want to buy it. If you have any in-depth question about this program, don’t hesitate to ask. We are always happy to help you. Elearning Supporter provides unbiased review for all kind of software. We are a group of tech enthusiasts. If you need us to review any free or paid software, don’t hesitate to contact us any time. Don’t forget to follow us to receive more valuable post notifications in the future!